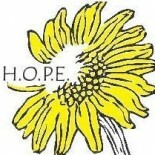 Helping Ourselves through Peer support & Employment (H.O.P.E.) in Brantford is now accepting applications for Board Membership on our volunteer Board of Directors. H.O.P.E. is a CSI (consumer-survivor initiative) which provides community mental health services for adults living with mental illnesses by others with the illness. Varied perspectives of candidates are sought and a range of skills are valued for this skill-based Board. Applicants need to commit to bi-monthly meetings (excluding summertime) as well as some Committee work (currently Finance Committee). Interested individuals can contact Mr. Michael Benin, Interim Executive Director, at 519-752-2998 x102 for an Information and Application Package, or simply contact the office at (519) 751-1694 to request this information. The Board meetings are currently held on the third Wednesday evening of every other month (but this may change if necessary). Please check out the contents of this H.O.P.E. website for more information on the CSI and to view the various activities and services offered.